KIEV, Ukraine -- Ukrainian football star Andriy Shevchenko is to retire after Euro 2012. 'As they say in such cases, the decision is final and cannot be appealed,' Shevchenko told Sport-Ekspress newspaper Friday. Ukrainian football star Andriy Shevchenko. 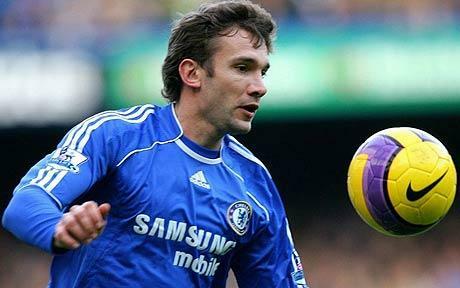 Shevchenko, 34, is the former Soviet republic's best-known active player. He was AC Milan's leading striker during their successful Champions League campaign in 2003, and won the Ballon d'Or in 2004. After playing for Chelsea from 2006 to 2009, he rejoined his former club, Dinamo Kiev. Ukrainian media said Shevchenko has discussed a post-player coaching job with Dynamo's management. In past interviews, Shevchenko has declined to comment on the reports, saying he wants to complete his playing career, and take a rest before considering a new job. Ukraine are automatically qualified with co-hosts Poland for the Euro 2012 tournament.